I have only seen a picuture (I'll post that when I get a chance). 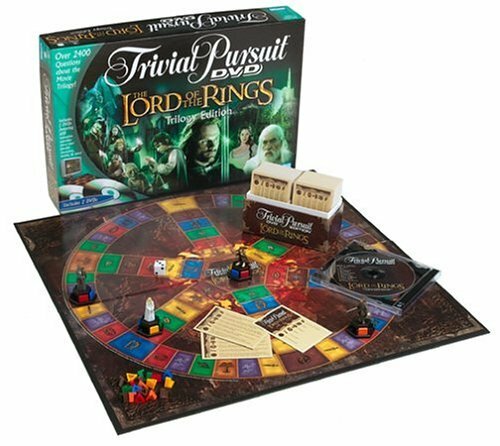 This looks like a very nice game to test you knowledge of the Lord of the Rings Movie (Trilogy). 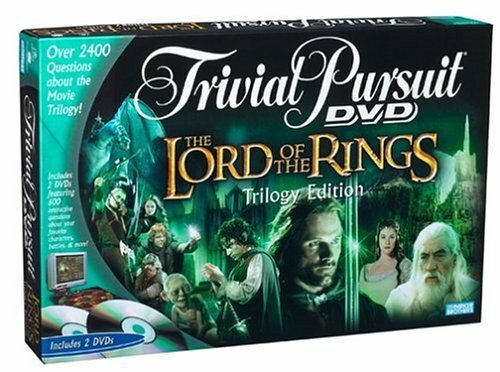 Without seeing the game yet, I presume it is a typical Trivial Pursuit board and the questions are all via a DVD (2 DVDs). You probably answer questions based on visual and audio questions. There are over 2400 questions. I think Andy Serkis (Gollum) is the narrator. I've never played one of the DVD type games, so I don't know all the details. As ususal, when I get some more information, I will post it. In the mean time, the game is out there, just in time for the Holidays.